We finally made it back to the Santa Rosa Mine (without snow)! We explored the mountain outside before heading into the lowest adit. The mine was spectacular with several inclined shafts, great ladders, twisting track, huge stopes and an intact incline cart. 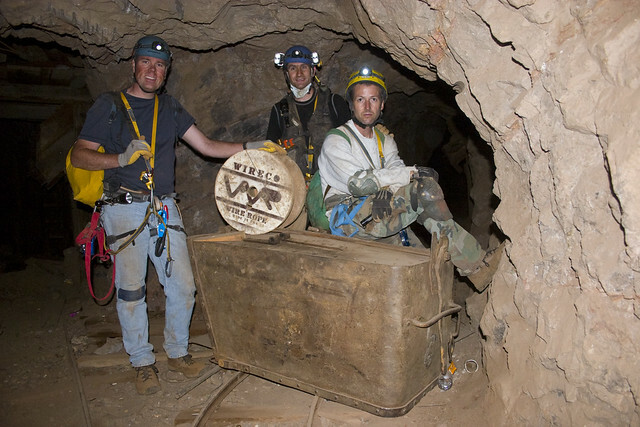 We spent a total of 11 hours in the mine and explored it top to bottom (which was about 350' below the main level).